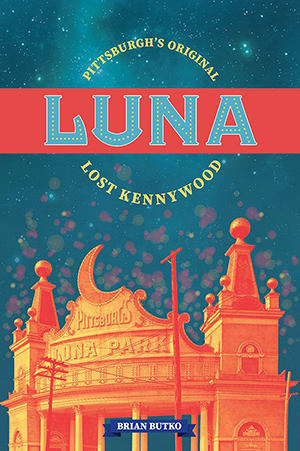 Luna: Pittsburgh’s Originial Lost Kennywood follows the intriguing, intertwined stories of two very different amusement parks in suburban Pittsburgh: Kennywood in West Mifflin and Luna Park in North Oakland. Butko takes readers on a rollicking trip to the rowdy picnic spot first called Kenny’s Grove, then we meet the Ingersoll family of inventors who go from building rides at Kennywood to creating its chief competitor. 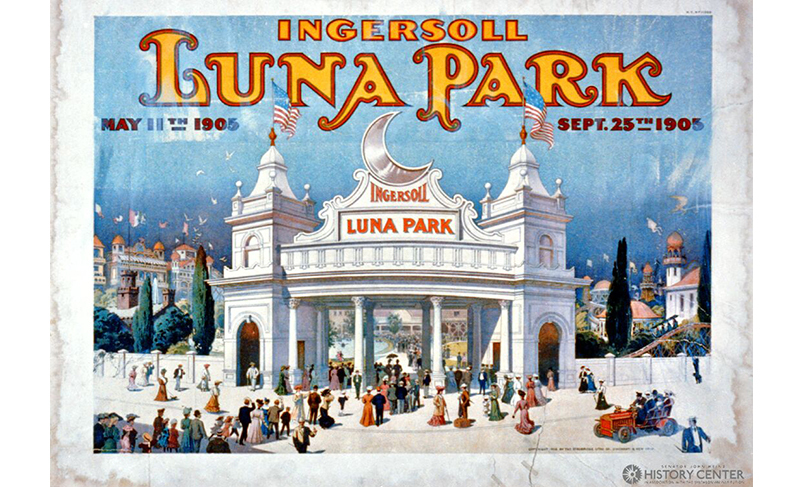 Frederick Ingersoll, today credited with inventing and spreading the concept of amusement parks, was the visionary who conjured Luna by literally blowing apart a hillside along Craig Street in 1905. While he continued building more rides and more parks, he was also slipping into bankruptcy. The book begins with an account of a tragic event at Luna Park, and if that doesn’t get your attention, nothing will! What follows is an introduction to Pittsburgh’s industrial past and to the eventual creation of the leisure time industries. Butko is thorough in explaining the interrelationships among the industrialists, traction companies, and local businessmen who had a hand in owning, managing, or supplying the Pittsburgh amusement parks. Luna closes with an afterword on the development of Lost Kennywood, Kennywood’s tribute to the legacy of Luna Park. Butko explains the motivation behind the tribute and how the rides and layout were chosen. Butko is a fine writer whose lively and compelling prose will inspire the reader to keep turning the pages. He also is an accomplished storyteller with a complicated story to tell: the Ingersoll story, the Luna story, the Pittsburgh history and industrialization story, the stories of the local parks and personalities involved, and how all these parts are important to the whole. Butko succeeds in weaving them together in an interesting and comprehensible account, and in doing so he has made a considerable contribution to the history of the amusement industry in Western Pennsylvania.